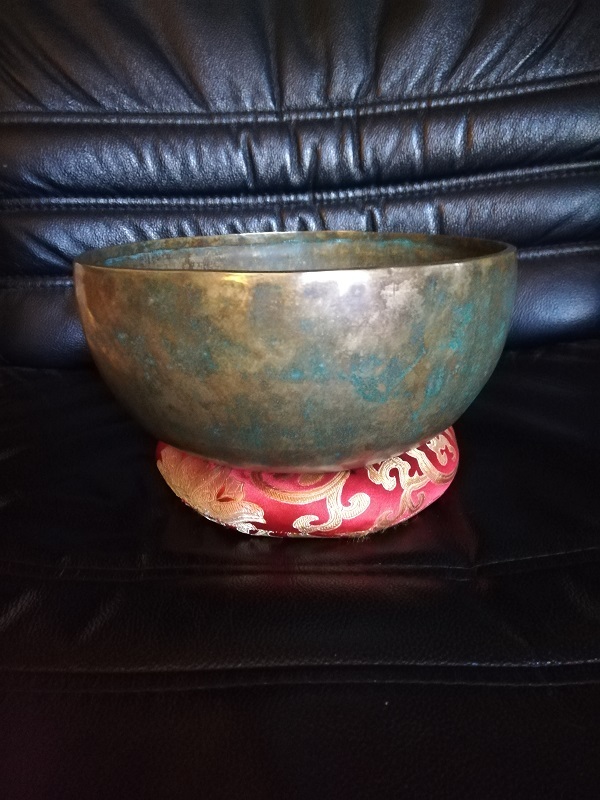 I've got some handmade top quality Tibetan singingbowls, for therapeutic use. 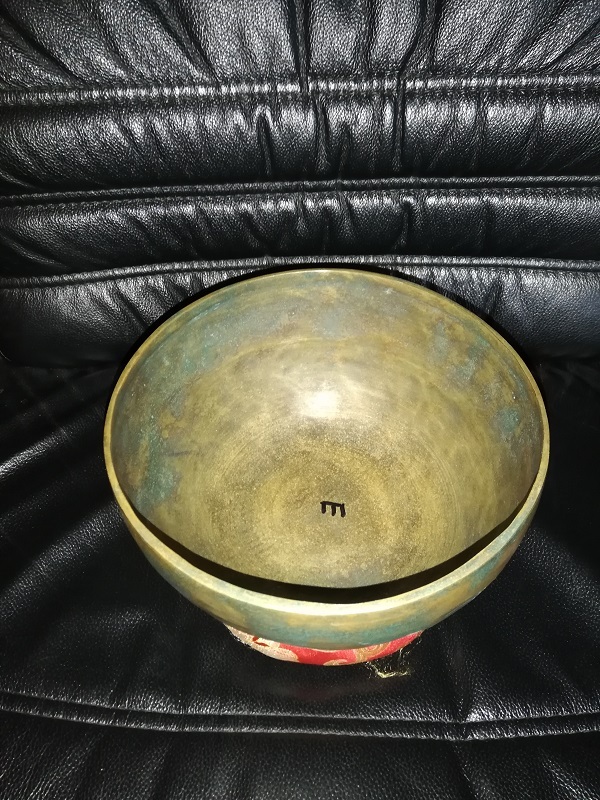 These bowls are thick so the sound and vibrations stay much longer than normal bowls. 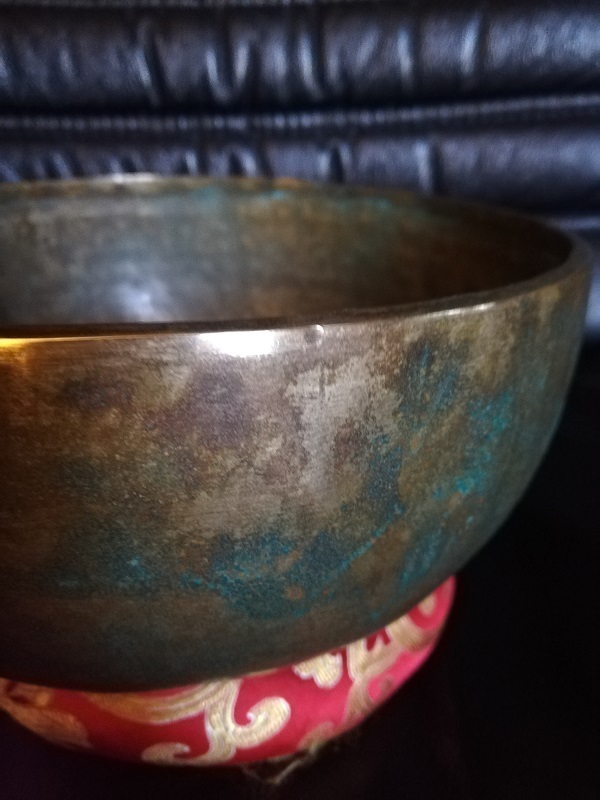 The vibrations are therefore much intenser and deeper and they hold longer! 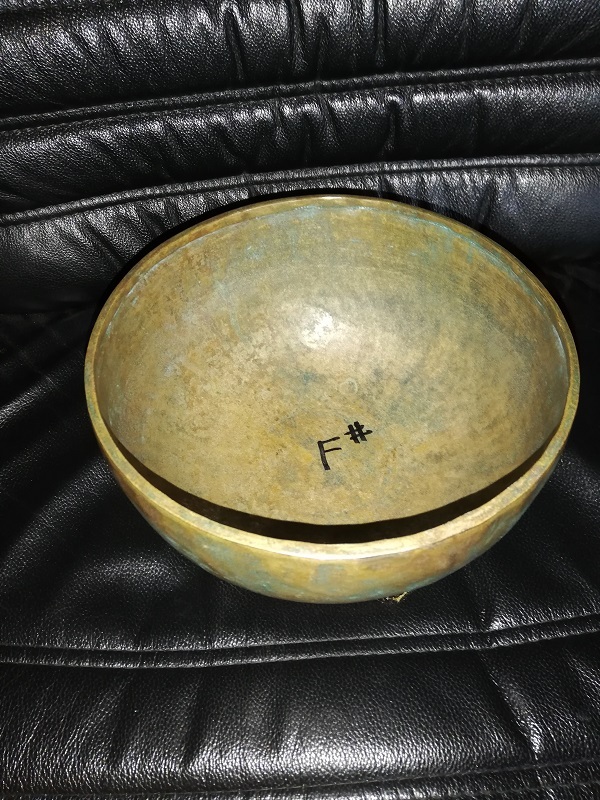 These bowls are hand made, the sound is there for much richer than machine made bowls who sound more flat. The fact that their hand made gives them much more undertones and a better relaxing effect on the mind. 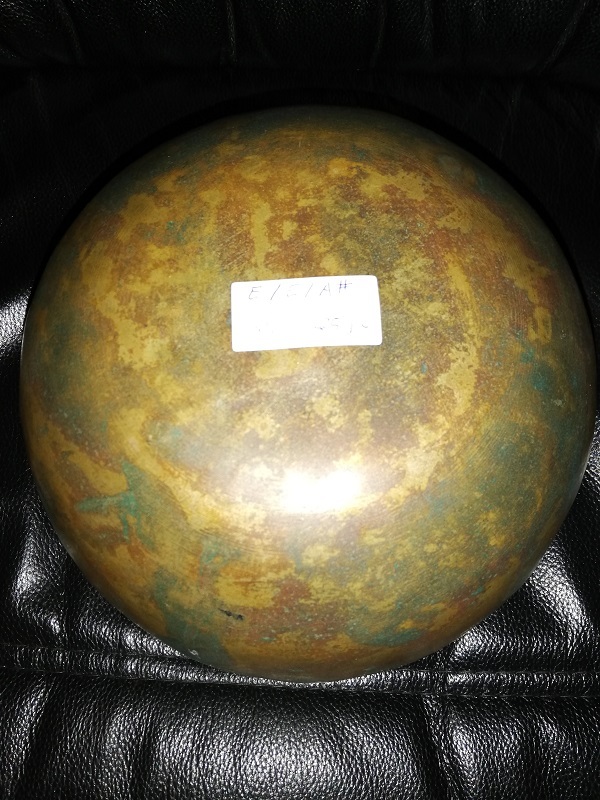 The bowls are around 20 cm. can only imagine what the original travelling gold smiths or shamans would think of this idea. meditative states and brain waves manipulated by electroencephalograms (EEGs) (idem). beyond the physical body, and transcendence of ego” (ibid: 312). 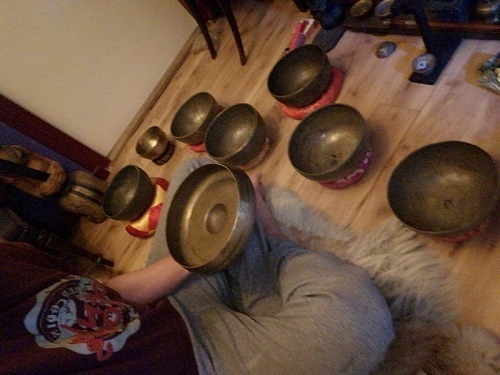 meditative state created by singing bowls are found to be exactly like those of alpha waves. are now using them in a clinical context. 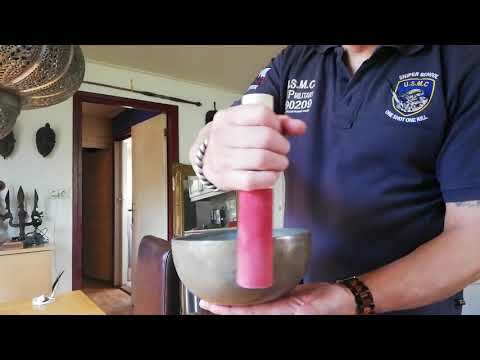 left and right hemispheres produce increasing alpha and theta waves during meditative states. 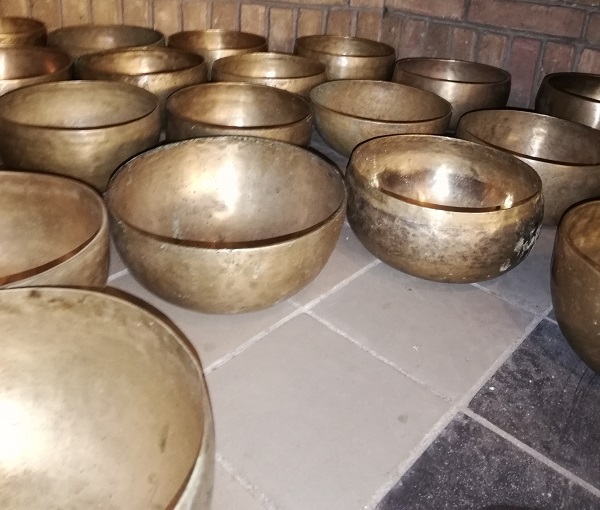 singing bowls. 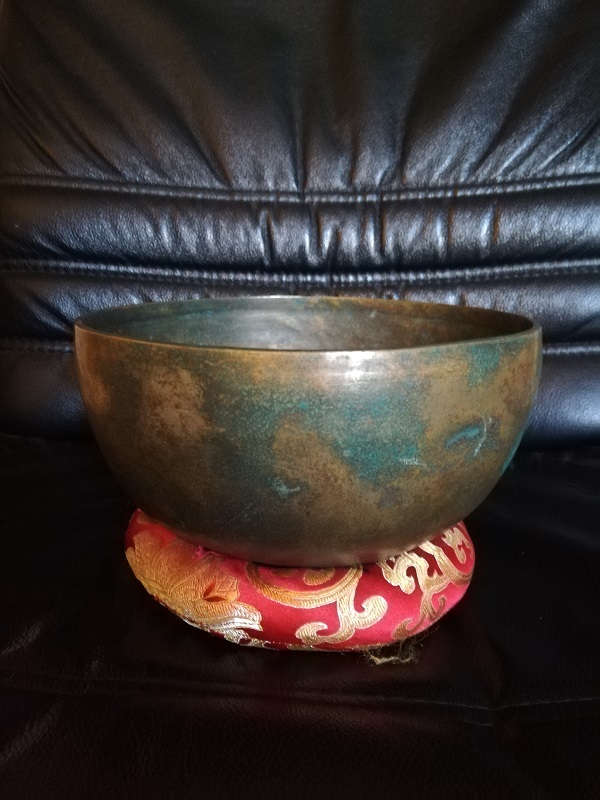 In the past, the purpose of the singing bowl was to perform in shamanistic rituals. 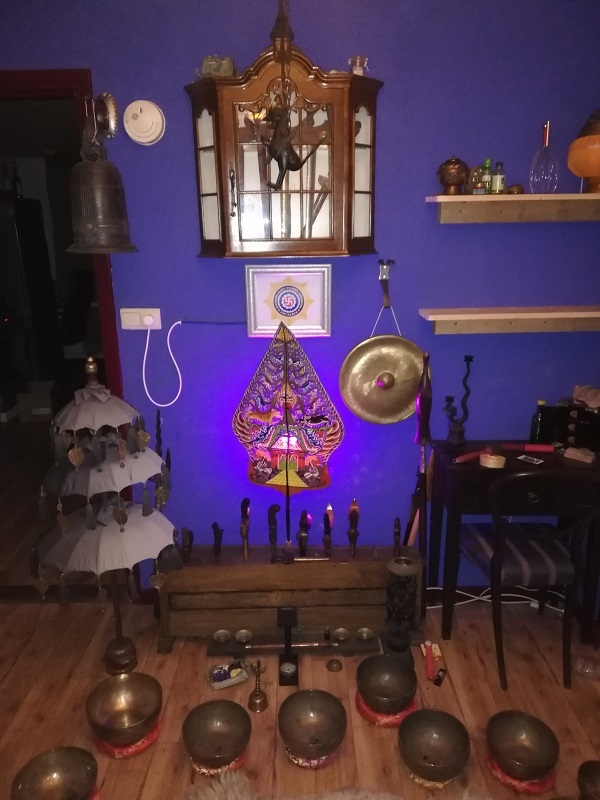 meditation, overtone chanting, and Gregorian chant (Wigram et al 2002: 149). As mentioned earlier, a perfect fifth is the most consonant interval to Western ears. while modifying the listener’s state of consciousness” (Shrestha 2009: 26). 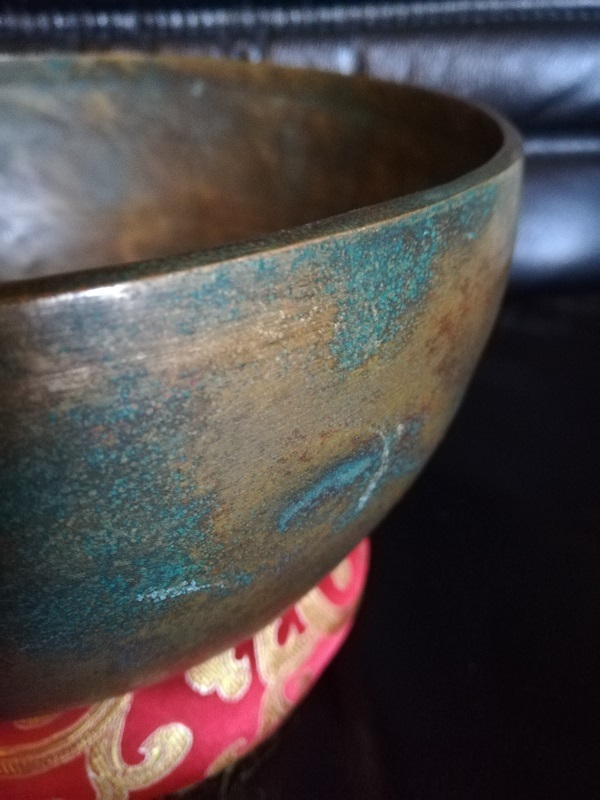 a central place in this emerging practice.